The next time you're visiting Brazil's lovely rain forest, keep your eyes open for the Zombie Ant. What is a Zombie Ant, you ask? It is an ant that's mind has been taken over by a fungus, called the Ophiocordyceps camponoti-balzani. This particular spore can infect an ant, take over its brain, and then kill the insect as it staggers drunkenly to an area ideal for the fungi to grow and spread to other unsuspecting victims. The ants that are vulnerable to this fungi typically live in the canopies of trees, but occasionally come down to the ground where they fall victim to the deadly spores. Once the ants are infected, which is usually during the day, it takes several hours for the fungus to grow and burst out of the ant's head, typically at night, when it's nice and cool. Meanwhile, it is sucking all of the calcium out of the ant's muscles, creating a rigor mortis type of thing. Ants are not the only victims of this spore, they can also infect crickets, flies, bees, wasps and spiders. Experts now say that in Washington State, Zombie bees have been reported flying around at night and lurch around erratically until they ultimately die from the parasite's infection. For Y day, I present Young Zombies and the book, Generation Dead by Daniel Waters. I read this book many years ago, when it first came out. It's zombie popcorn reading, and I thought it had a good overall theme about fitting in and acceptance as well as dealing with prejudice. 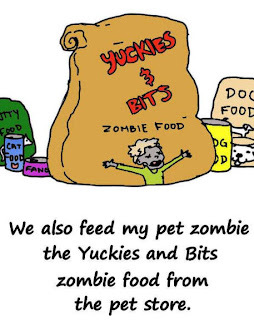 Just don't think too hard about the biology behind zombies that don't decay. Phoebe is just your typical goth girl with a crush. He's strong and silent.and dead. All over the country, a strange phenomenon is happening. Some teenagers who die aren't staying dead. They are coming back to life, but they are no longer the same-they stutter, and their reactions to everything are slower. Termed "living impaired" or "differently biotic," they are doing their best to fit into a society that doesn't want them. Fitting in is hard enough when you don't have the look or attitude, but when almost everyone else is alive and you're not, it's close to impossible. The kids at Oakvale High don't want to take classes or eat in the cafeteria next to someone who isn't breathing. And there are no laws that exist to protect the differently biotic from the people who want them to disappear-for good. 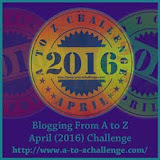 A to Z Blog Challenge: X is for Extremely Zombie Addicted? ** Today is the Letter X for Extremely Zombie Addicted!" Well, you've heard of couples who are Halloween fanatics and want a gothic black wedding instead of a white wedding. How about some "extreme" nuptials - like a Zombie Wedding??? It's not a zombie book, but it is the latest adult novel I've had released. You can order it here. It's a dragon kind of week! After five hundred years’ labor destroying worlds, half-dragon half-human Aelana returns to her home planet. She expects to be anonymous, but instead she is worshipped as a god. She finds the reincarnation of her centuries-dead first and only love and life begins anew. Little does she know, however, that a shrewd and formidable evil lays in wait, one with the power to undo everything she’s worked for. To maintain the balance of the universe, she must confront and destroy the menace before it annihilates her and everything she loves. Aelana cowered in the corner of her tent, her blanket pulled over her head. Her knees were pulled up to her chest, her forehead resting on them. Muffled, indistinguishable voices drifted through the canvas. Fear beaded sweat on her forehead. What would happen if someone came into her tent? She had given specific orders no one should disturb her, but that didn’t always stop them. They couldn’t find her like this. Bad things might happen if they did. “Aelana?” a familiar voice drifted into the tiny space. It was low, masculine, and soothing. The canvas door flopped into place, a footstep thudded on the ground. A few more steps sounded, and his hands wrapped around the outside of the blanket. Panic gripped her chest, and she grabbed the edge of the material. “I’m worried about you. What’s going on? Why have you been hiding lately?” He tugged on the blanket. “Thoran, no!” Her grip tightened on the cover. They played tug-of-war with the blanket for several moments. Aelana’s panic increased, and her only concern was keeping herself covered. Thoran wouldn’t understand, he wouldn’t get it. She didn’t even know what was going on. How could she explain it to anyone else? If the changes scared her, they might utterly freak out others. “Aelana, you can talk to me. You can trust me!” The strain was evident in his voice. He jerked on the material. He had more leverage than Aelana, and the blanket slipped from her fingers. A squeak escaped her lips as she tried to fold herself in on her own body. He placed his hands on her knees. “Aelana, please. Talk to me.” His voice was low, pleading. Her heart rate increased, her breathing became rapid. The desire to push him away and run into the night, disappearing into darkness, surged through her, but she fought back the urge. She wouldn’t; she couldn’t. He’d come after her. Her resolve faltered. If it had been anyone else, it would have been easy to stay strong, overpower them and leave. Thoran, however, could make her talk, make her open up. He knew her better than anyone. That was both comforting and annoying. With a grunt and a sigh, Aelana threw her arms open and kicked out her legs. Thoran fell backward. She jumped to her feet. Thoran moved backward, his eyes wide, his mouth open. She stepped closer and loomed over him. Thoran tried to scuttle away, to head out the door. Aelana crouched down and grabbed his collar. He screamed and slapped her hand away before pushing her over. He crawled out the door, and she collapsed onto her knees. The weight of sadness dropped onto her shoulders. What had she done? 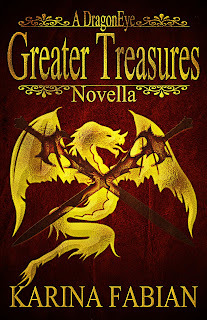 Aelana jerked awake, her elbows digging into the scales of the Queen’s neck. The Queen shifted slightly but didn’t wake up. Aelana took a deep breath and ran her hand down her face. Quietly and deliberately, she left the comfort of Her Highness’embrace and headed for the cave opening. Standing at the door, her gaze drifted to the peaks and rises silhouetted against the night sky. A few stars twinkled above; others were blotted out by dark clouds of rolling smoke. Aelana caught the faint scent of burning wood on the breeze. Picking her way across the landscape, her claws scraped against the rocks. Visions of Thoran’s horrified face lingered in her mind. She found a small stream trickling down the mountain side and knelt next to it. Splashing her face with the cool liquid, she sighed and stared into the water. It was too dark to see her reflection, but she didn’t need to. There was a definite reason Thoran ran from her so long ago. Her eyes were multifaceted, glittering like diamonds. They were no longer deep blue, human-like. Her pale skin wasn’t supple. Though it was still smooth, it was covered in tough scales. Her face was angular, the chin pointed and defined. Small knobs protruded from her forehead, the smallest hint of horns. Pointed ears lay flat against her head. Her teeth were sharp, her canines longer than the others, protruding slightly from her lips when her mouth was closed. Only her hair retained its human quality, rows upon rows of braids that traveled to the middle of her back. Her feet had morphed into powerful claws, and her hands were tipped with razor-sharp nails. She was the perfect mix of human and dragon, powerful and compassionate. Thoran had asked repeatedly what was wrong, but she dodged his questions and concerns. Eventually, avoiding him all together. It worked for a while, until he barged into her sanctuary. What other choice did he give her but to throw her mutation in his face? Why hadn’t she left? She could have snuck away in the middle of the night. People would have noticed, but they wouldn’t have cared. The whispers would have continued, rumors would have spread, but things would have turned out differently, maybe better. Her leaving would have saved a lot of heartache. She gazed at the sky. More stars were blotted out by dark smoke columns, and the stench of burning forest grew stronger. Slowly, Aelana made her way back to the cave. Thoran shouldn’t have found out like that, but there was no way to reveal it delicately. Still, given the chance to do it again, she’d approach the situation differently. According to the New Orleans Historic Voodoo Museum, Zombies come from the Congo. They also believe that there are actually four types of zombi (we spell it zombie) - the Great Spirit, the Spiritual Soul, the Herbal Zombi and the Bargained Zombi. 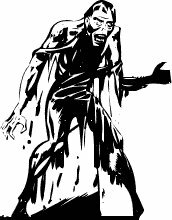 The creole word ''zombi" is apparently derived from Nzambi, a West African deity but it only came into general use in 1929, after the publication of William B. Seabrook's "The Magic Island". Here is a recount of his first encounter with the walking dead. Spiritual Soul: this follows in the belief that a person has two souls, one called the Great Angle and the Little Angle. When a person dies, the Great Angle knows the person is dead and leaves the body. The Little Angle, on the other hand, takes about three days to realize the body is dead and a witchdoctor can manipulate it to do their bidding. Herbal Zombi: To make a zombie chemically it is first necessary to cause the victim to appear to die, then to apply an chemical antidote to reanimate them. The poison would usually come from the common Blowfish. Bargained Zombi: A volunteer who has surrendered part of their soul to a Voodoo Queen for reasons like protection against other spirits or receiving gifts. 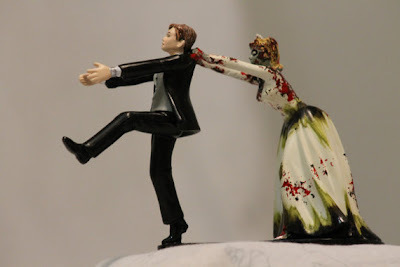 It is when the Voodoo Queen dies and can not longer protect this person that the may turn into a full-fledged zombie. Li Grande Zombi: this is the snake spirit in Voodoo given the Congolese name for the same principal entity. It is the original and proper meaning. The Louisiana mud snake used in rituals is sometimes called “ouncongo”. FREE ZOMBIE BOOK FEST on Facebook! Join here. * Author Colin Drysdale offers free zombie stories at his site, For Those in Peril - and check his blog on Wednesdays, too. * Author Belinda Frisch has a story, "Payback," A Strandville Zombie Series Short on Scribd. * Author Nicole Hansen has five chapters of a novel-in-progress at her blog, Extinction Events. 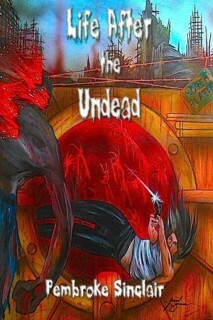 Also check out her other free story, Frequency of the Undead. * Author Chrissy Peebles has an interesting post and fictional excerpts for "Eight Careers That Would Survive a Zombie Apocalypse." 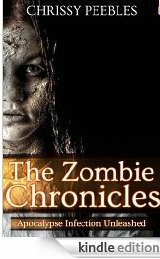 * And check out Chrissy Peebles' The Zombie Chronicles (Apocalypse Infection Unleashed Series) - Book 1 - free on Kindle. 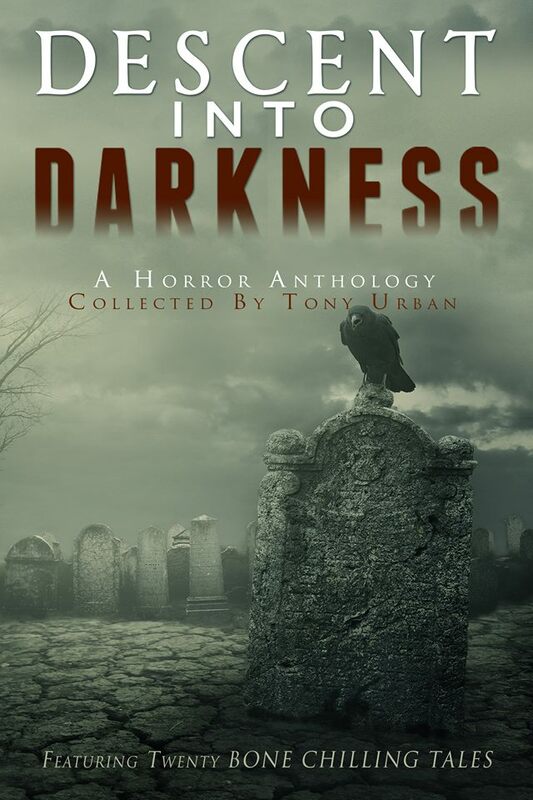 * Author Anna Taborska has a dark little flash fiction piece at 52 Stitches. Deep Into the Game: S.W. 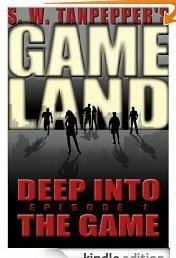 Tanpepper's GAMELAND (Episode 1) (Volume 1) (S. W. Tanpepper's GAMELAND) - (Kindle) A game to die for... First, they were soldiers. Then laborers. Now they're Players in a live-action computer game. Welcome to GAMELAND. Set in the middle of Long Island's forbidden wasteland, it's where the rich and privileged pit cybernetically-controlled zombies against one another for all the world to watch. Most people buy their way into The Game. Others get in by dying. Some hack their way in. * Author Saul Tanpepper also has a full page of short stories - request a free one. * Just found this: The Living Dead has links to stories, podcasts, excerpts and more! * ZedPrep.com has a running serial novel, with new episodes every 10-14 days. T is for Treasure--Greater Treasures, that is! This is my latest book, published April 16. No zombies in it, though. Vern, my dragon, does not like zombies. He says it's the equivalent of that leftover casserole you forgot coming to life and breaking out of the refrigerator to exact mindless vengeance. Given the day I was having, it came as no surprise that when I got home, I found the dogs sprawled in a drugged sleep and the sounds of things being overturned from within the warehouse. I decided not to bother with subtlety, but I did resist the urge to burst in with flames going full-blast. I had questions first. Naturally, I walked straight in to find an automatic weapon—yep, a bona fide black-market AK-47—and I thought only Faerie lived their clichés—and six other weapons of various types pointed at me. I didn't stop, just closed the door with my tail while I strolled in slow and placid-like. My visitors had shaved heads, faces painted white with clown paint, and black t-shirts with swastikas in white circles. "If you're the housekeeping service, you're fired." "You stay right there, or we gonna fire you!" said one guy from the sidelines as he held his nunchucks at the ready. What'd he think he would do—whack me on the nose? I turned to the one holding the assault rifle. "Scraping the bottom of the barrel with that one, weren't you?" "He's right. You just stay still while we search the place." "The place" was a ten-thousand square foot warehouse with offices on the upper floor. Boxes I still hadn't opened line the walls and made a maze in the second warehouse room. I settled myself on the floor and rested my head on my crossed arms. "Go ahead. I get half of anything you find." They stared at me, unbelieving. I smiled back. Mr. Cooperation, that's me. Finally, Big Gun snarled for the others to get to work. As he turned his back on me, Nunchucks muttered, "I got your half. Don't think I don't." Guess he learned such witty repartee in Hitler Youth Summer Camp. I watched and listened and waited. With eight teenage skinheads trashing my place, it was only a matter of time. "I wouldn't go in there if I were you," I suggested as Nunchucks made a grab for the doorknob to Grace's workshop. "You gonna stop me?" He turned the knob. "Nope," I said as I closed my ears and my eyes. Even so, I saw the otherworldly light and heard the harmonious roar of Divine Vengeance followed by Mundane screams. "The Heavenly Host on the other hand…"
I waited until the screams died down to whimpers before opening my eyes and rising. Four of the skinheads were unconscious. Three may as well have been; they were curled up in the fetal position, whimpering. Nunchucks was actually crying for his mommy. Big Guns had collapsed to the floor as well, the gun thrown away from him. He was sitting and rocking and making high-pitched keening through the roof of his mouth. I'd tell Grace to tone down her wards some, except that the effect is directly proportional to the evilness of the intent. Suddenly, I was feeling a little shaky about my earlier entrance. Knights out of the armor now. I went around, collecting weapons in the office trash can and poking through pockets. I found the usual stuff—driver's licenses, credit cards, petty cash… One kid had a condom; wishful thinking on his part, I knew. Another had a report card. MLK High. Wonder if he was the one beating up Faerie kids? Honor roll grades, too. Of all the years I've battled evil, there were still some things I didn't understand. As I was returning Big Guns' (aka Rick Matherston's) wallet back into his jacket pocket, he blinked and focused on me. "Angels, kid." Actually a kind of magical shadow of the real thing, but close enough. "But I thought angels were—"
"There's a reason why their first words are usually 'Fear not!' whenever they meet a human." His eyes returned to their unfocused stare. I almost felt sorry for him. Then I noticed the letters FARISLAR tattooed on his knuckles. Faerie slayer. 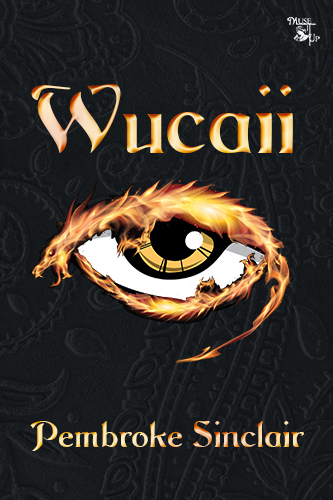 All kinds of free fiction and prizes! Hundreds of zombie authors! See event. Some folks are having fun with this app, making movies. Here's one I found by Mars Rising Films. Personally, I hate running. My knees can't take the stress--and I look like Velma on Scooby Doo. However, if you are into running--more power to you. In case of the zombie apocalypse, I'll have to rely on stealth--or give myself to heroic martyrdom. Quinn is my male hero from my zombie books, Life After the Undead and Death to the Undead, and the love interest of my female character Krista. He's an 18-year-old boy who is trying to help Krista understand the world of the undead and help her survive. Like so many other teens in the zombie apocalypse, Quinn doesn't have any parents, but that doesn't hold him back. Born and raised on a ranch in Wyoming, he knows what it takes to survive. Not only does he have deadly aim and a charming smile, but he can drive a semi and ride a horse. His no-nonsense attitude keeps Krista out of danger, but his sympathy and patience teaches her the skills needed to survive. It's not hard to see why Krista falls head over heels for him. Want to learn more about Quinn? Pick up a copy of Life After the Undead and Death to the Undead. Available at eTreasures Publishing and Amazon. Kids have turtles, fish, cats, and dogs for pets, but what every kids wants is a pet that's different than everyone else's, right? Ask author Sherry Snider, "what’s the best pet ever?" and she has the answer: …a zombie, of course. Zombies are so popular now that even little kids want to read about them, it seems. But...ugh.... nightmares, gore... not kid stuff? Snider admits that was the challenge: how to introduce young children to the concept of zombies without scaring them to death. "Our favorite TV shows, movies and books were out of the question," she says. "Even some of the existing children’s books about zombies started off cute, but got a little hairy with exposed bones and hanging eyeballs. Using a zombie’s severed arm as a club is hysterically gross for older kids, but it tends to upset the little ones." And why, you may ask, bother at all? I mean zombies aren't exactly nursery rhymes (though the unsanitized versions of those can have enough problems in themselves). But kids know more than you think. They hear things, and they ask. For the little ones who were old enough to start asking about zombies but not quite old enough for the gore, Sherry wrote My Pet Zombie . 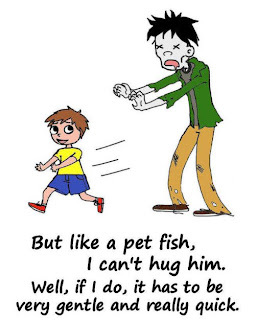 “Pets are a concept even small children can grasp, so I introduced the most basic zombie characteristics from the perspective of a child and his pet,” she says. 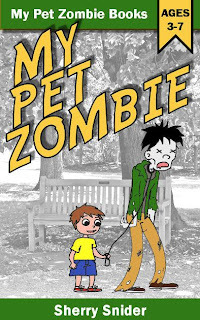 The result is a cute, kid-friendly book where zombies are a pet instead of threat. We'll leave the philosophical and psychological questions for another post. Sherry says she was purposely vague about certain zombie questions…leaving the deeper topics to the parents. 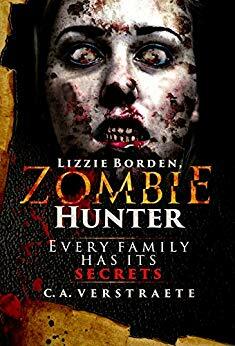 “Questions about life and death, where zombies come from, the differences between fiction and nonfiction, and whether or not a child can have his own pet zombie are best left to mom and dad," she says. ** For a limited time, Sherry’s offering a special bonus: the ebook version of My Pet Zombie on Amazon.com includes a link to download a free copy of the printable PDF companion book, My Pet Zombie Coloring Book. But... it's hard to stay away for long. 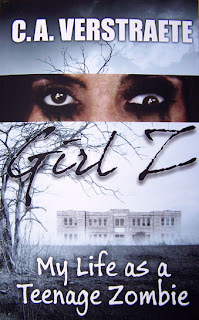 While I am working on other stories, a novella and hopefully a sequel to GIRL Z: My Life as a Teenage Zombie, the ideas I've come up with are adequately different enough from what's being done that I'm not worried about being influenced. The interesting thing is in what I've read so far, the premises are vastly different from each other and from what I am writing - as it should be. Yes, there are plenty of "main characters fight zombies and try to survive" books and stories, but to make it unique, each should have its own background and premise. 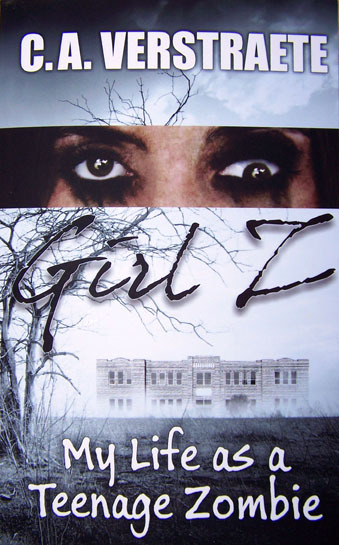 For instance, in GIRL Z: My Life as a Teenage Zombie, the main character Becca is 16, trying to protect her cousin and find their missing mothers while coping with her own weird body changes, quirks and appetite as a part-zombie. 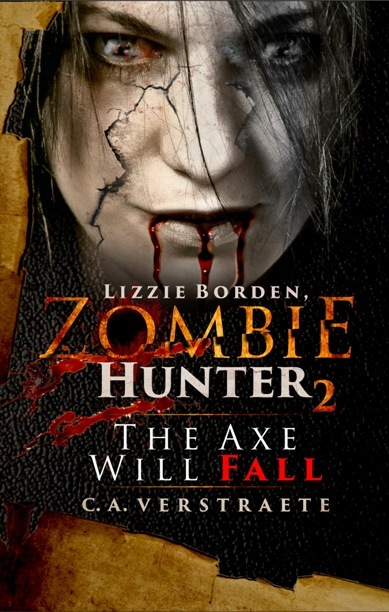 So there's humor, a little romance, and yes, of course, zombie fights. * Alice in Zombieland (White Rabbit Chronicles, Book 1) , Gena Showalter - Alice disappears down the rabbit hole, discovering a world filled with "spirit" zombies. I have to admit the book was good, but because of the title, I guess I was expecting more of a connection to the original Alice in Wonderland. 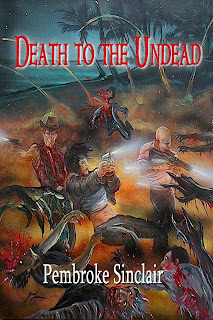 * Wanted: Dead or Undead , Angela Scott - A Zombie Western. You don't get much more different than that! And she also has a unique twist on becoming a zombie. * Plague Town: An Ashley Parker Novel , Dana Fredsti - Though her new book, Plague Nation just came out, I'm now reading the first book since I'm behind. Besides a good story, I especially like the little vignettes she puts at the end of each chapter. * Though I've read Jonathan Maberry's Rot & Ruin (Benny Imura) YA series so far (book 4 is coming out) about Benny Imura fighting zombies, for me, the series got kind of long-winded and a little weird by book three with death cults and lots of fighting. For me, the first and second books were the most touching. * My introduction to Jonathan Maberry was with his Dead of Night: A Zombie Novel , which for me is a read-again book, full of great imagery and writing. The premise caught me: a doctor experimenting on a serial killer with a drug supposed to keep him conscious while his body rots. Instead, before he's buried, the killer wakes as a zombie, infected...and hungry. I don't know about you, but the very term "necromancer" makes the hair stand up on the back of my neck, especially since it usually deals with dabbling in black magic while trying to raise a spirit from the dead. If you look online, there are many sites devoted to this type of thing, but as for me, I prefer to write about it in a fictional sense, letting the spirits and the dead stay where they are- out of my suburban home in Minnesota. In the world of science fiction, it is someone who conjures up spirits of the dead for purposes of magically revealing what the future holds or changing the course of events. They are the masters of the art of death, they're the epitome of an Evil Sorcerer. The word 'necromancy' comes from the words 'nekros' (dead) and 'manteia' (prophecy), meaning that necromancers are more likely to summon spirits for divination than armies of rotting zombies. 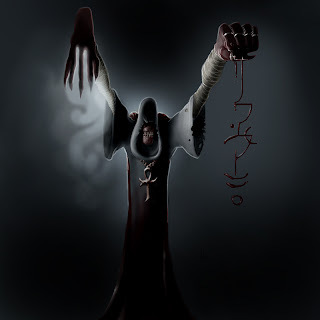 Early necromancy was related to, and most likely evolved from- shamanism, which calls upon spirits such as the ghosts of ancestors. Classical necromancers addressed the dead in "a mixture of high-pitch squeaking and low droning", comparable to the trans-like mutterings of shamans. In the present day, necromancy is more generally to describe the pretense of manipulation of death and the dead, often facilitated through the use of ritual magic or some other kind of occult ceremony. The oldest literary account of necromancy is found in Homer's Odyssey, under the direction of Circe, a powerful sorceress. Odysseus travels to the underworld to gain insight about his impending voyage home by raising the dead spirits through the use of spells that Circe taught him. I myself have never read any of Homer's poetry, but now that I've done a little research, I find him quite intriguing. The Alchemyst (The Secrets of the Immortal Nicholas Flamel) by Michael Scott. Today is the Letter M so what better topic than Movies! 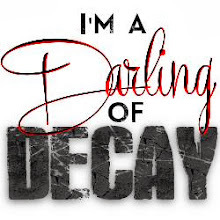 Given the name of our blog, I'll be concentrating on new zombie and scary movies. 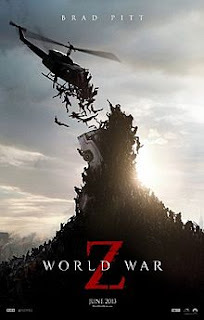 World War Z - which really looks good is coming in June, but... is it merely a vehicle for Brad Pitt? Coming up sooner: Evil Dead - which really looks scary! (But... my first thought is no... not the cabin... and running in the woods.... See trailer. ** Please share if you've seen or plan to see any of these! 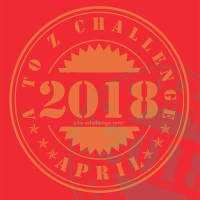 A To Z Blog Challenge: Love those zombies!